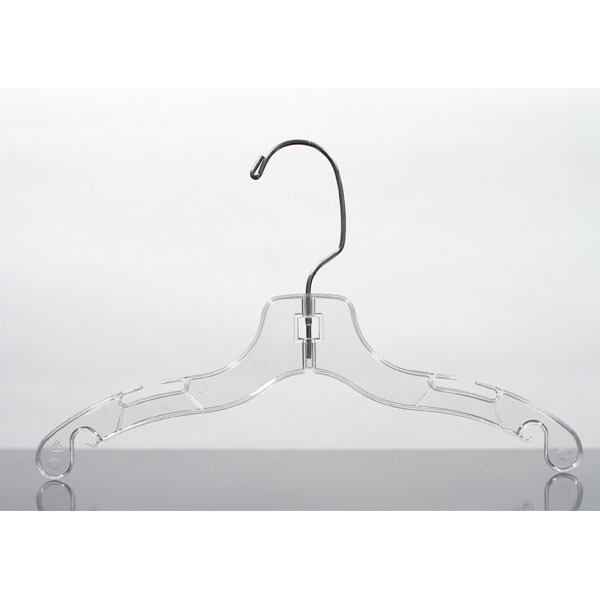 Sparkling crystal clear polystyrene shirt hangers are affordable yet extra strong. Sturdy metal hooks swivel for ease of use, while being securely attached to the hanger frame. Hooks are designed to hold size hanger markers, sold separately.